Upon using our free services, you may be requested to participate in our periodic internal surveys that are conducted by HostBix to determine your personal interests. These surveys are strictly voluntary. The data collected through these surveys will only be used to improve our products and services and will never be sold to any third parties. When we receive email, we use return email addresses to reply with the information requested. Such addresses are not used for any other purpose and are not shared with outside parties. When supplying contact information to HostBix you can indicate your preference if you would like to be contacted to receive information and updates about our services by logging in to your HostBix account, going to your member profile page and choose not to receive any further notification emails from us or other information pertaining to HostBix. Information you submit to us will not be used for this purpose unless you indicate this as your preference. When supplying contact information to HostBix you can indicate your preference on your members profile page to participate in the HostBix newsletter. You will receive a confirmation email from us when placing an order on our site and paying through PayPal. We provide you the opportunity to opt-in and opt-out of our newsletter at any time. Our newsletter is sent every month so it will certainly contain allot of useful information and any offers we may have. If you no longer wish to receive our newsletter and promotional communications, you may opt-out of receiving them at any time. You can access all your personally identifiable information that we collect by logging into your password-protected HostBix account and selecting to update your My Details We use this procedure to better safeguard your information. You can also correct factual errors in your personally identifiable information by sending us a request that credibly shows error. To protect your privacy and security, we will also take reasonable steps to verify your identity before granting access or making corrections. HostBix considers email transmitted via our service to be the private correspondence between the sender and recipient. We will not monitor, edit or disclose the contents of a user`s private communications, except as required by law, to comply with legal process, if necessary to enforce the Service Agreement, to respond to claims that such contents violate the rights of third-parties, or to protect the rights or property of HostBix. By using the service you agree that technical processing of email communications is and may be required to send and receive messages, to conform to the technical requirements of connecting networks, to conform to the limitations of the Service, or to conform to other, similar technical requirements. By using the service you acknowledge and agree that HostBix do not endorse the content of any user communications and are not responsible or liable for any unlawful, harassing, libelous, privacy invading, abusive, threatening, harmful, vulgar, obscene, tortuous, or otherwise objectionable content, or content that infringes or may infringe the intellectual property or other rights of another. This Web site contains links to other sites that are not owned or controlled by HostBix. 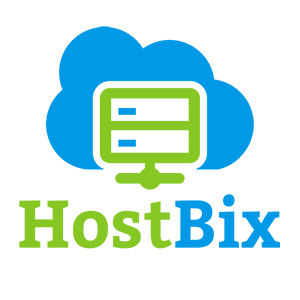 Please be aware that we, HostBix are not responsible for the privacy practices of such other sites. We encourage you to be aware when you leave our site and to read the privacy statements of each and every Web site that collects personally identifiable information. This privacy statement applies only to information collected by this Web site.